Are tools designed to machine metal, wood, and other solid materials. Often automated, milling machines can be positioned in either vertical or horizontal orientation to carve out materials based on a pre-existing design. These designs are often CAD directed, and many milling machines are CNC-operated, although manually and traditionally-automated milling devices are also common. Milling machines are capable of dynamic movement, both of the tool and the workpiece, and many milling machines can perform multi-axis machining. Because of variations in orientation, operation and application, milling machines have varying functions and different operating principles. Milling machines can be outfitted with a number of to accomplish different machining needs. Some of these tool heads include cutters, rounding , fluted mills and ball end mills. 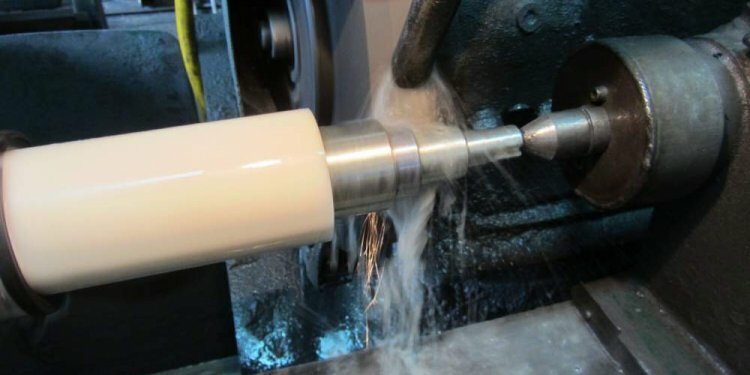 Some milling machines have rotating tool ends that can change depending on the needed task—computer programming communicates with the machine when to change its tooling. The different tooling used in milling machines is based on material and desired shape. Because materials like wood and steel have different physical properties, different tool bits are needed to properly machine the materials. If a milling machine uses a tool bit that is not strong enough to machine steel, the tooling and even the machine itself can be damaged. Tooling that is too strong for softer materials can damage the workpiece. The basic tooling bit on a milling machine is called the cutter. A cutter is a shaped bar that has saw teeth. The cutter rotates rapidly to cut down and shape materials. The cutter is attached to an arbor, which is sometimes called a mandrel or mandril, a shaped bar that varies in size, length and ending, and is used to hold the cutter firmly. A milling cutter’s saw ending can be spaced, sized and oriented in many ways. Generally, the teeth are either positioned in a straight up-and-down orientation, or angled in a helical orientation. Straight teeth are preferable in operations on denser materials, while helical teeth can create very smooth cuts on softer materials. There are a variety of cutters within these categories, including dense end cutters, t-slot cutters, and angle cutters. Cutters are subject to different standardized sizes, with CAT sizes as the most commonly-used standardization category in the United States. Milling machines are categorized by their orientation to their workpiece and their degree of motion. Knee-Type milling machinesemploy a vertical workspace supported by a knee, which is an adjustable vertical casting. The knee supports a saddle and can be adjusted to allow for a customizable workspace. Milling machines with a standard work surface can either be oriented vertically or horizontally. The tooling assembly is generally affixed on a turret and swivel, typically positioned parallel to the workspace. The turret and swivel allow the tool to move freely around the workpiece to enforce tight tolerances. A universal horizontal milling machine differs from the plain horizontal type because it has a table swivel housing, which allows the table to move out 45 degrees from the standard horizontal position. This workpiece movement allows for easier angular or helical milling operations. A ram-type machine is used to allow the tooling to position itself on a greater range of space with regards to the workpiece. The ram-type machine has a spindle on a movable housing, which can move within a set horizontal plane. The universal ram-type milling machine includes a swivel housing that increases the range of cutting movements. With a swivel cutter, a milling machine can rotate from a completely vertical to a completely horizontal position. The worktable also moves, providing the user with a very liberal degree of motion and orientation. Many swivel cutters include both automatic or hand driven settings, increasing operation options.